Last week was Wolf Awareness Week. In graduate school and here on The Ecotone Exchange I’ve written about wolf science and the legacy of wolves in Oregon and for Wolf Awareness Week 2013 I posted a commentary entitled “A Wolf’s Eye.” In the past few years, I’ve taught the essay “Lone Wolf” by Joe Donnelly, published in Orion magazine, about Oregon’s famous wolf OR-7, the first to disperse from his pack and travel over the Cascade Mountains since wolves came back to Oregon in the mid-1990s. My community college students not only found Donnelly’s article to be an excellent example of essay-writing, but fascinating. Today, I read updates on the Oregon Department of Fish and Wildlife website Wolf Page and looked for current media coverage. Oregon’s wolf population is growing and their status is up for re-evaluation and possibly a big change–and soon. Currently, all wolves in Oregon are protected under the state’s Endangered Species Act; additionally, wolves in western Oregon are federally protected. A meeting to consider delisting them from protection under the state’s ESA is slated for November, this year. Oregon wolves are managed under the state’s Wolf Conservation and Management Plan. At the end of 2014, our wolf population numbered 77 wolves. Now that there are eight breeding pairs that have produced pups for at least three consecutive years, Phase II of the WCMP is in place, triggering the move to consider delisting. “Wolves are native to Oregon. They were listed as endangered by the federal Endangered Species Act (ESA) in 1974. When the Oregon Legislature enacted the state’s own ESA in 1987, it grandfathered in all species native to Oregon that were then listed under the federal ESA, including wolves. 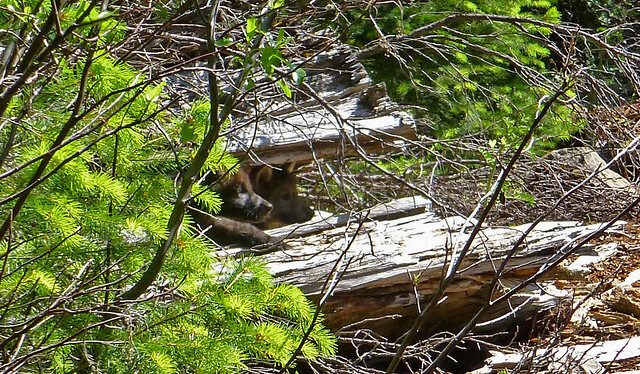 This law requires the Fish and Wildlife Commission (and ODFW) to conserve wolves in Oregon. Also, Oregon’s Wildlife Policy directs the Commission to manage wildlife “… to prevent serious depletion of any indigenous species and to provide the optimum recreational and aesthetic benefits for present and future generations of the citizens of the state.” This includes a species as controversial as the wolf.” –ODFW. On the other hand, delisting allows for killing of wolves at the hand of ranchers if they are caught in the act of depredation. Now, only ODFW can kill repeat offenders; as explained on the agency’s website, “Four Oregon wolves have been killed by ODFW or authorized agents in response to chronic depredations of livestock, including two in Baker County in September 2009 and two in Wallowa County in May 2011. In both situations, landowners and wildlife managers first tried a variety of non-lethal measures to avoid wolf-livestock conflict.” Currently, private citizens cannot harm or kill wolves. Even though a reported 70 percent of Oregon citizens, according to the Statesman Journal, want wolves to come home, the conflict that spurred the wolf bounty and eradication remains and runs deep–generations deep. I don’t live in wolf country–at least not yet, not until more of them trek over the mountains–and I know I’d be frightened and wary should I ever meet a wolf while camping or hiking. But I also believe wolves belong in Oregon. I believe in the ecosystems science that documents the benefits they provide as an apex predator–and if you’re interested in learning what wolves provide, I strongly suggest the film Lords of Nature. More importantly, I fundamentally believe people cannot kill off everything in the way of human endeavor. We have hit the wall with that brand of progress mentality. Last weekend, my partner and I watched the original, animated version of Dr. Suess’s The Lorax. In it, Dr. Suess so very aptly illustrates what happens when species are sacrificed at the hand of industry. Though ranching in Oregon has not compromised the landscape to the extent that Mr. Onceler’s Thneed business did in The Lorax, the truth remains that Oregon wolves were killed off for one reason only–so that the ranching industry could take hold. So how big of a problem are Oregon’s wolves to Oregon’s livestock? Not a big problem at all, according to OFDW’s depredation reports–for example, of the handful of reports filed in September, none showed signs of wolf kill, though one animal had been eaten by wolves, along with other predators and scavengers. And The Statesman Journal, in an article entitled “When the Wolves Return to Western Oregon,” quantifies 104 wolf kills of livestock since wolves returned to Oregon [in the mid- to late-1990s]. “Northeast Oregon’s Wallowa County is a case study for that very point. It is ground zero for the argument from wolf detractors that wolves will decimate Oregon’s livestock industry. The county’s livestock industry has been in a steady decades-long decline preceding wolf recovery. However, from 2009 to 2011 – while the wolf population grew from two to fourteen, livestock revenue jumped nearly 50 percent to nearly $27 million in a county with barely 7,000 citizens. Wolves were not the cause of the increase, but it’s clear their effect on the industry is negligible. Though wolves may have some localized impacts on individual livestock operators, those can be significantly reduced with responsible husbandry. Additionally, in Oregon, ranchers are fully compensated by taxpayers for any losses.” –Oregon Wild. Clearly, wolves aren’t a problem. Next month, on November 9, the ODFW Commission will meet in Salem to discuss the delisting of wolves in Oregon. Delisting–or taking away wolves’ protection as an Endangered Species–is a public process. This means your voice matters. ODFW cannot make rules or change the listing status of wolves without public input. Please send your comments to odfw.commission@coho2.dfw.state.or.us. Please make sure to include “Comments on Wolf Delisting Proposal” in the subject line of emails. Public testimony will also be heard at the meeting. One of the most significant take-aways from graduate school for me was reading into case studies of environmental legislation and coming to understand how important public comments are in the rule-making, or legislative, process. Speaking on the issue of wolf protection is a democratic opportunity; please let your voice be heard. “My own conviction on this score dates from the day I saw a wolf die. We were eating lunch on a high rimrock, at the foot of which a turbulent river elbowed its way. We saw what we thought was a doe fording the torrent, her breast awash in white water. When she climbed the bank toward us and shook out her tail, we realized our error: it was a wolf. A half-dozen others, evidently grown pups, sprang from the willows and all joined in a welcoming melee of wagging tails and playful maulings. What was literally a pile of wolves writhed and tumbled in the center of an open flat at the foot of our rimrock. We’ve driven, shopped, and eaten our way into disaster. I am on the brink of loss of hope, ready to give up. None of my beliefs seem strong enough to put into action and my voice sounds miniscule in the drowning cacophony of corporate greed and single-purpose endeavors and snack packaging. I cannot understand how so many humans deny that we are in a mess. Our life support system is failing. Call it what you want–climate change, ecological disaster, overpopulation, water wars…sum total, the natural processes that allow humans to stay alive on this planet are ruined, and at our own hand, by our getting and having. I cannot understand the arguments to keep going in this way–to keep waging age-old wars that poison water and destroy the arability of land. To keep chopping down trees that control heat and air quality and groundwater retention. To keep paving ground that filters the water cycle, thereby controls flooding. To keep destroying food source after food source through poisoning with chemical pesticides and mono-cropping and over-harvesting. To keep driving as a right rather than a luxury so that high-risk drilling is the norm. And here’s the rub–what we get for all that quickly goes into a landfill. The stuff garnered by all of that destruction is stuff, not sustenance. I have come to the point where I find it hard to write about the positive, because my brain shuts down at constantly being bombarded by the negative. Not so much that it exists, but by the human stupidity behind the destruction. I understand how the media works, how a news cycle takes over rational, critical thinking, and how we all live in a culture of embeddedness. I understand that socio-political change, which is the driver of climate resilience, only comes though a constant push on many fronts to fill the gaps left in the mainstream master narrative. But I also see a lot of hypocrisy and a lack of common sense. 1. Conduct urban planning that includes habitat needs of non-human species. When the new housing development happens in what was previously home to deer… Ashland is a small town, and one that has thoughtfully built a unique destination for itself, and a human lifestyle that embraces certain qualities, those we now call make local habit. In the early planning, to protect local businesses, the town had the foresight to say no chains in downtown…it’s that same foresight that must extend to dealing with wildlife. Essentially, Ashland businesses said hey, this invasive species will ruin us if we let it set up shop here–franchises controlled by outside interests will take down our habit…deer now face the same issue. 2. The second issue with deer here in Oregon is due to eradication of predators, wolves in particular. 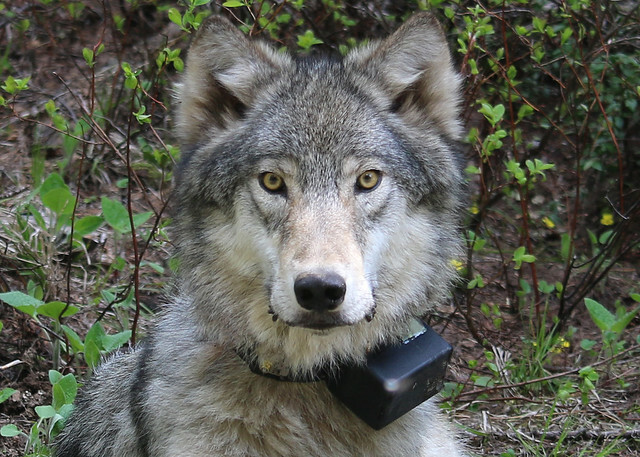 I’ve written a series of essays on the history and science of wolves in Oregon. Let me simplify the issue–they do more good than harm when on a landscape where they belong. They are not a direct threat to humans unless humans go looking for a fight with them. In the whole history of Oregon as a state, there is no documented case of a wolf attack on a human. The reality is, if we cut down all the places animals live in their natural states, they will come hang out in our yards and ruin our flower beds. Even when measures are in place with the intent of co-existing with wildlife or at least easing human displacement of them, animals are there as part of the make-up of the planet, as are humans. By design. If we reach back and look at indigenous cultures, there’s much to learn about living in accordance, species to species. But I’m not writing here today about deer overpopulation. I went on that tangent as an example of lack of simple common sense and the ability of humans to apply a concept (keep the invaders out so we can have a livelihood) to our own needs will using the other edge of that sword (we’re the invaders and now deer are displaced in their sense of livelihood) for all other species. Common sense in this day and age and in terms of where we are as a species on this planet is this simple: Do my actions add to the problems or are they part of the solution? Here’s a juncture where I my head begins to explode–there are so many aspects to consider–plastics in the ocean; melting Arctic ice; illegal poaching of rhinos and elephants for their horns and tusks; polluted rivers and decreasing fish runs; GMO foods and Monsanto… But not really. There is one game-changer problem and everything else is a sub-set of it–climate change. This week, when reading around online, I was reminded of the key word in the climate debate–abashedly, I’d forgotten this word as the new level of the bar, even after having heard the lead climate scientist for National Oceanic and Atmospheric Administration (NOAA) speak last spring. This is the word used by the UN’s Intergovernmental Panel on Climate Change (IPCC) in its 2014 report–covered here in the Washington Post. Our Earth is warming. Earth’s average temperature has risen by 1.5°F over the past century, and is projected to rise another 0.5 to 8.6°F over the next hundred years. Small changes in the average temperature of the planet can translate to large and potentially dangerous shifts in climate and weather. The evidence is clear. Rising global temperatures have been accompanied by changes in weather and climate. Many places have seen changes in rainfall, resulting in more floods, droughts, or intense rain, as well as more frequent and severe heat waves. The planet’s oceans and glaciers have also experienced some big changes – oceans are warming and becoming more acidic, ice caps are melting, and sea levels are rising. As these and other changes become more pronounced in the coming decades, they will likely present challenges to our society and our environment. The debate of what about it happened at Kyoto in 1997. The deniers are behind the times, stuck someplace with the cavemen who didn’t believe in fire or the wheel, with the people who doubted air flight or the moon walk. Climate change is all around us… it is the biological state of being of planet Earth. What the world’s climate scientists want us to know is that there is no turning back, no escape. Every action every person takes every day affects how this thing is going to go. What we’re really dealing with is climate resilience, a concept agencies have been working on and running models to study for some time now–about since Kyoto. NOAA has developed a toolkit to guide Americans in this change of thinking and lifestyle. It’s time for that concept to become the mechanism of socio-political change that might save humans from extinction. I have pretty good sustainable living habits, some born of frugality way back in college, some born of awareness and my liberal arts educational experiences, some born of my embeddedness in a “subvert the dominant paradigm” counter-culture, some born of travelling third-world countries as a child, some born of what I learned about the natural world from my father, some born of the waste-not, want-not mentality of my grandparents who lived through the Depression, some born of common sense and my innate understanding of right action. Lately, though, I have changed or refocused my thinking about my own getting and having. I’ve re-oriented everything I do so that I now look at it through the lens of climate change. If my actions to get my needs met now require me not to contribute climate change, I have to think about my getting and having of food, shelter, livelihood, social needs, and the kind of work I do. What can I do in my daily life to eliminate carbon, methane, and nitrogen emissions–the main greenhouse gases that cause global warming–in production of what it takes to run my life? I drive a car that runs on biodeisel and use fuel produced in Oregon where I live and I drive as little as possible; I eat only organic food and as much of it locally grown as possible; I don’t eat much meat at all, and I what I do eat I make sure is sustainably grown or fished; I avoid plastic and work to minimized disposable stuff, mainly packaging and single-use what-not; I use only eco-friendly home and personal care products and as few of them as possible. These actions have become habits. What’s new for me is thinking about the clothing I purchase and how much I travel. Sustainability practices measure sourcing, energy of production, and waste…take these factors into account when thinking about the goods and services you consume and work to reduce harmful sourcing, wasteful energy in production, and wastefulness (disposability) in the life of the product, and you’ll be making great strides minimize your impact and creating climate resilience. The message from scientists and climate activists is loud–it’s here and it’s real but we can work to slow the progress. The planet has warmed just a degree and a half–I can’t imagine it at the 6.3 F degree increase that is the projection. It’s time to act. It’s been just ten days since Greenpeace activists dangled from the St. Johns Bridge across the Willamette River here in Portland, working to block Shell Oil’s icebreaker, the MSV Fennica, on its way from dry dock back to the Arctic to drill for oil. The image below is now iconic, having appeared in media pretty much everywhere. According to reportage in Portland’s Willamette Week, Greenpeace arrived as a surprise. Local activist groups 350 PDX, Backbone Campaign and Portland Rising Tide had planned to put boats in the water to block the Fennica from departing, but had no idea of Greenpeace’s plan. The bridge activists descended in the pre-dawn hours and the other groups and concerned citizens launched at dawn. All in all, the Fennica was unable to leave. The action lasted 39 hours and was truly a peaceful protest. Details of it can be found on the Greenpeace website, local commentary can be found at Willamette Week, and several photos are on Alternet.org. In the end, the Fennica was court-ordered passage, but the direct action made an impact. The spokesperson for Portland Mayor Charlie Hales’s office remarked in the WW, “…the protesters had done a tremendous job of getting their message out…” and Jessica Moskovitz of Oregon Environmental Council was quoted to say, “You need moments that focus everybody’s attention, and that’s what Greenpeace does.” Of course, Greenpeace followed the action with a petition to President Obama, who recently approved, and defended his decision to allow, Shell’s drilling in the Arctic. There’s been enough media coverage of the events at the St. Johns Bridge. I’m writing to extend the conversation beyond the huge direct action–because there is much more to do, and several aspects to consider (which I’ll cover soon in future posts) about Shell drilling in the Arctic. But first…what’s the problem with Shell drilling in the Arctic? With Shell as a company, at least in environmental terms? A three year fix – the US Geological Survey estimates the Arctic could hold up to 90 billion barrels of oil. This sounds a lot, but that would only satisfy three years of the world’s oil demand. These giant, rusting rigs with their inadequate oil spill response plans are risking the future of the Arctic for three years worth of oil. Surely it’s not worth taking such a risk? Shell has aggressively pursued drilling in the Arctic. As the world’s biggest company, Shell has pull–part of the St. Johns Bridge story is how quickly a judge ruled in their favor. The recent analysis of climate change polluters summarized by The Guardian lists Shell as one of the 90 companies that caused two thirds of man-made global warming. Shell also has a horrible environmental record, as you’ll see reported by manufacturing.net and Oil Change International. In a well-sourced article on wikipedia, Shell is named a “high priority violator” in terms of pollution violations against the Clean Air Act. And there’s the rub–once again big money is allowed to leap over laws. The company seemingly operates from the stance that might makes right. Why? Because we live in a market driven society. This problem is that simple. Shell and companies like it do what they do because they make lots and lots of money–for themselves and stockholders. Image courtesy of University of Oregon. The US is the world’s largest oil consumer. If most other countries–some large, some small, some industrialized, some not–can consume so much less, we can. This is where we, individuals who function in the market-driven society as consumers, come in. First step–drive less. Second step–change your fuel sources; for example, I use Oregon-produced biodiesel in my car and wind powered electricity for my home. Third step–stop buying petroleum-based products… and the list of them is long, and sort of scary, considering one I saw was novelty candy. I’ve written a handful of pieces in the last few months that tie to changing purchasing habits to help the environment. If face of companies like Shell, it’s really the only boots on the ground way to affect change. Big actions like dangling off a bridge are truly important to raise awareness, but then we must–each and every one of us–act to manifest that awareness as change. Our consumer habits are our weapons of immediate action, other actions are also effective–please sign the petition to stop Shell from drilling, and please contact your Senator; several are already putting pressure on President Obama to protect the Arctic.